You should be booking this trip two years out, as they are sold out for the 2019 season and almost sold out for 2020. 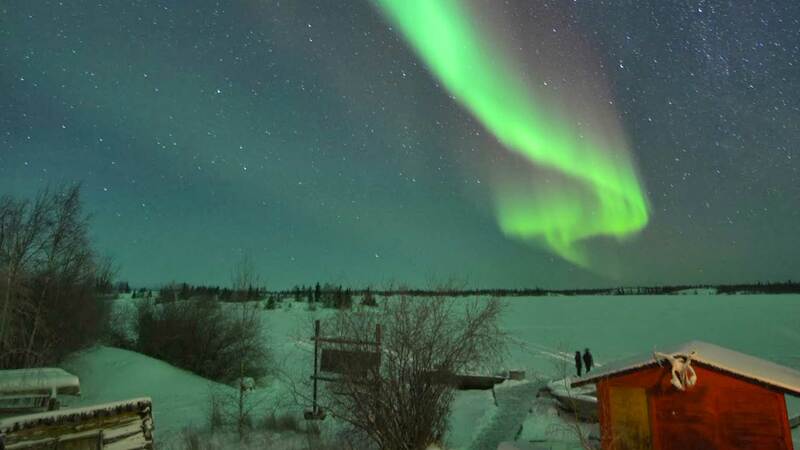 NW Territories is home to world-famous Great Slave Lake, which is 300 miles long. 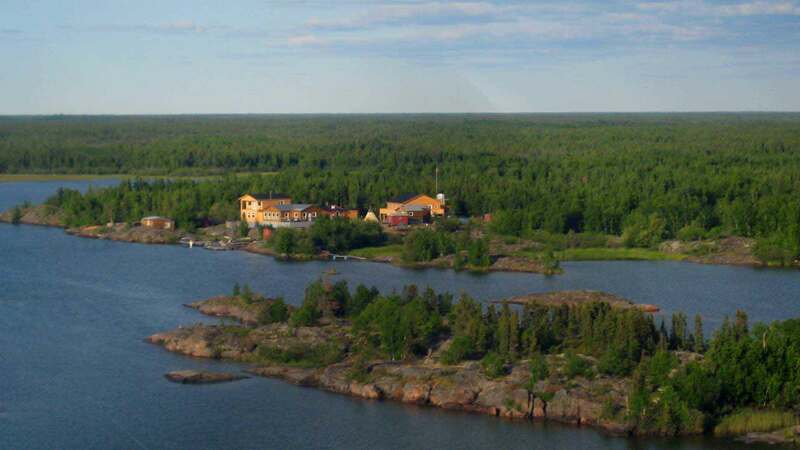 Trout Rock Wilderness Lodge is located in a chain of islands, right in the heart of the North Arm of Great Slave Lake. 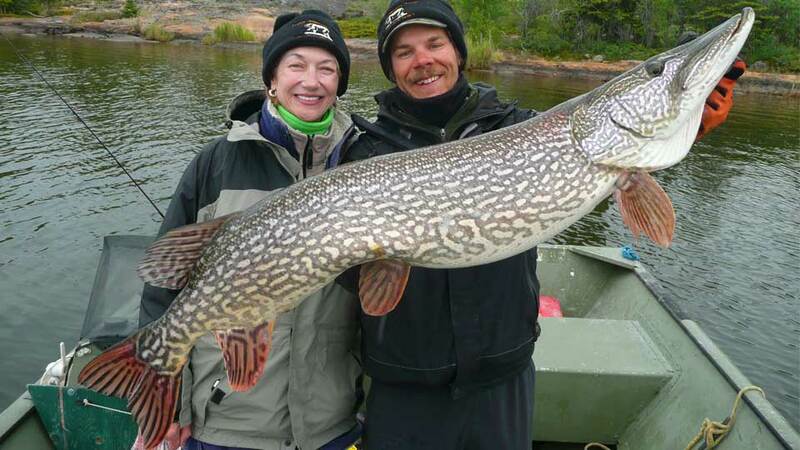 They are the only sportfishing lodge in the 100-mile-long North Arm. This area is home to hundreds of bald eagles, waterfowl and many types of wildlife, such as black bear, moose, lynx, wolves, and wild wood bison. The fishing areas are protected against the winds from the north, and that means you can always catch fish. 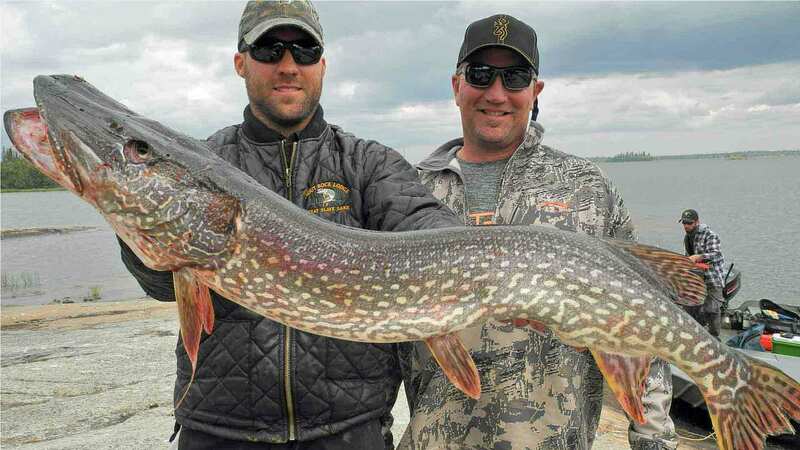 The trophy pike are large because of the abundance of bait fish, no fishing pressure, a catch-and-release policy, and a perfect habitat. 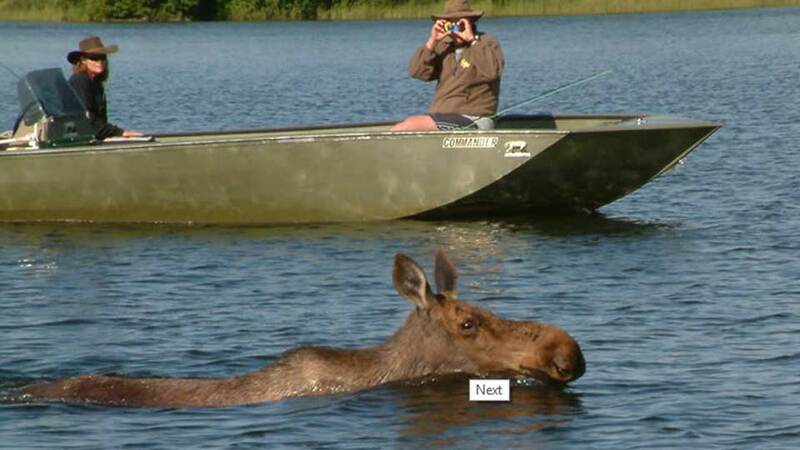 The best fishing is close to the Lodge, so you don’t waste time traveling. 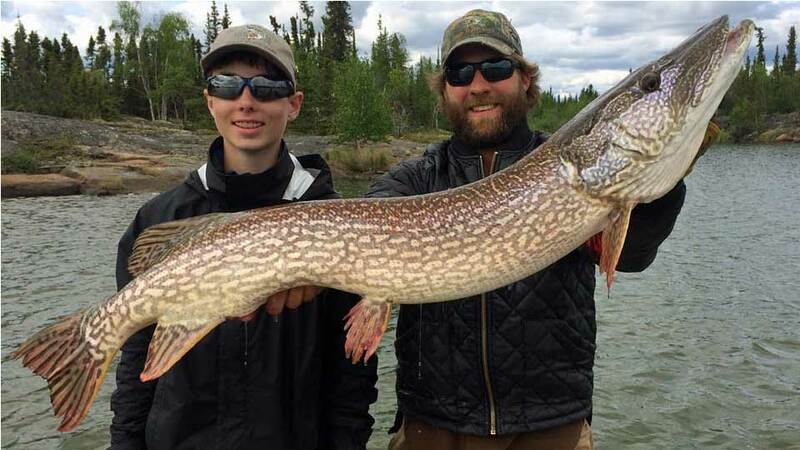 99% of their clients catch a 40-inch trophy or better during peak season, June 1st to July 31st, and every season a handful of fish, 50-inches or better, is caught. Fishing on top with a fly rod, casting a Moss-Boss, or buzz bait is especially exciting. 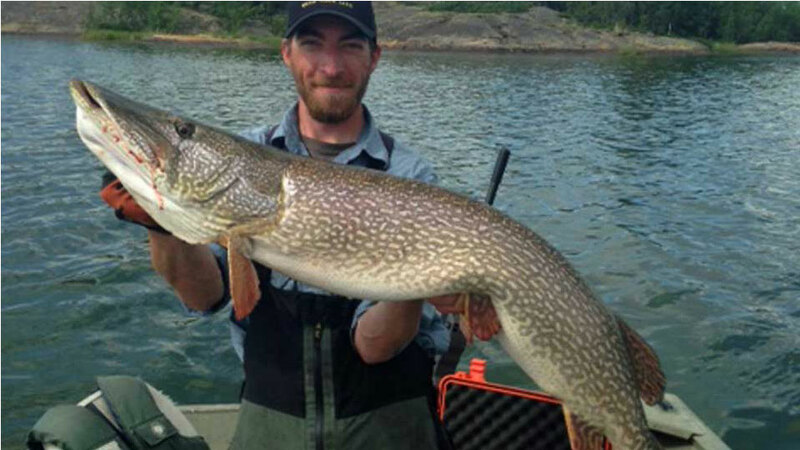 While fishing in the cold weedy waters of the North Arm, you'll see the boil of the pike as they stalk their prey. Their attack is ferocious, and several hits may occur before the final strike. Single barbless hooks are mandatory. Boats: Fully equipped 18’ boats with 25 to 40 HP outboard motors. Two anglers per guide and boat. Guides are fully trained in wilderness first aid/CPR and are masters in preparing a true North Canadian shore lunch from the morning’s catch. Fishing Hours: You’ll be guided a minimum of eight hours a day. In the evenings, you have the options of fishing from a canoe, fishing from shore near the Lodge, or paying a guide to fish additional hours. 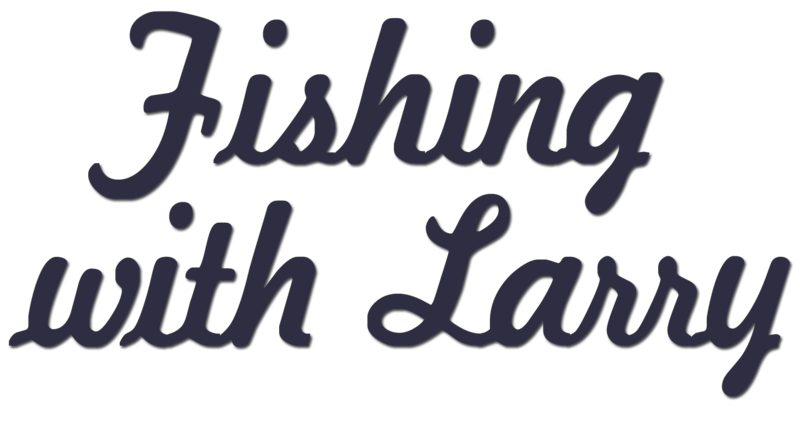 Fishing Equipment: The Lodge does not supply fishing tackle or the use of rods or reels. A comprehensive tackle and gear list is included in our confirmation packet. Trout Rock Island sits in the pristine North Arm of Great Slave Lake in the Northwest Territories. The Lodge is only a 12-minute floatplane flight from Yellowknife. 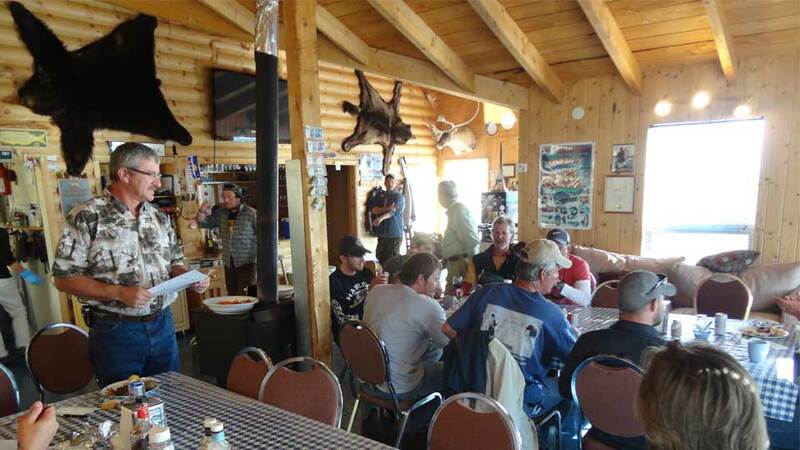 Trout Rock Wilderness Lodge features home-cooked meals and northern hospitality, cozy, private, guest cabins, a hot tub, and pitch-and-putt golf course. That means you will most likely fly to the Lodge the same day you leave home and avoid the hassle of staying at a hotel upon arrival in Yellowknife. This is the land of the midnight sun - around the summer solstice, the sun shines at midnight. You'll fly to Yellowknife. Yellowknife is the capital of the Northwest Territories and is easily accessible from all major North American cities. A Lodge representative will greet you at the Yellowknife Airport and will drive you to the Floatplane base, a 15-minute drive. You'll need to eat dinner before the flight, and there are several restaurants within walking distance of the Floatplane base. Around 7:00 p.m., you'll take a 12-minute floatplane flight to the Lodge; this flight is included in the package. 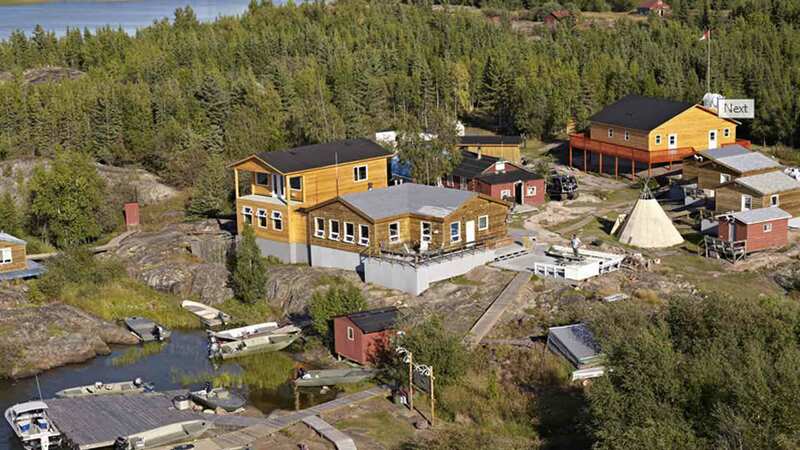 The night you depart from the Lodge, you’ll need to stay overnight in Yellowknife. The hotel night and meals in Yellowknife are not included in the package. 8:00 a.m. Breakfast, then you'll head out with your guide for fishing. 1:00 p.m. Guide-prepared shore lunch then you'll fish the afternoon. 6:00 p.m. You'll return to the dock. Two anglers per guide and four anglers per room. Note: All packages require a minimum of two people. Single guests are accepted, but the price is double. All cabins host four guests. Guests who request a private room for two people must pay a surcharge of $75.00 per person, per night. 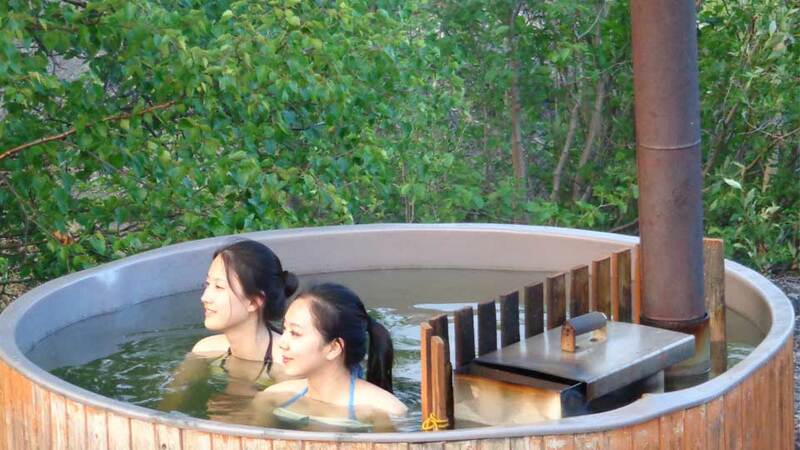 No surcharge applies for three guests per room. Please call for availability - these packages sell quickly. 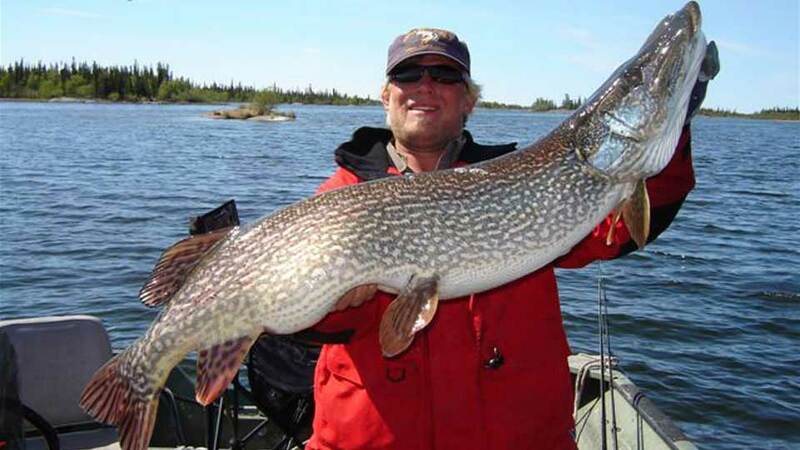 Ground transfers from Yellowknife Airport to the charter flight, round-trip floatplane charter Yellowknife to the Lodge, lodging, meals at the Lodge, and guided fishing. Airfare to Yellowknife, taxes, fishing license, fishing tackle or equipment, alcohol or mixers, soda, last-night hotel and meals in Yellowknife, gratuities, 5% GST, Global Rescue coverage, Signature Travel Insurance, and anything not mentioned under inclusions. Fishing lures are for sale at the Lodge. A deposit is required of 30% down within 14-days of booking, and the balance is due 90-days prior to departure. The deposit is non-refundable but can be transferred to another party with a $50.00 administration fee. Within 29 to 15-days prior to arrival, deposit and 50% of the balance is non-refundable. Within 14 to 0 days prior to arrival, 100% is non-refundable. Request Trout Rock Lodge info packet. 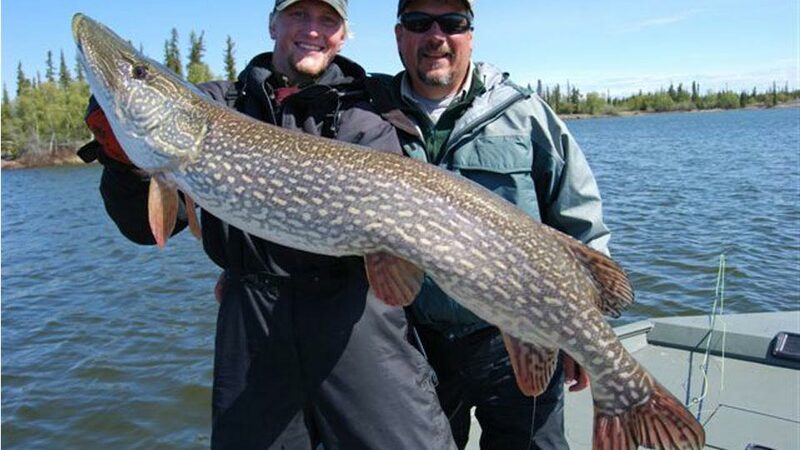 Peak fishing is June 1st to July 31st.